A few years ago, the search for extraterrestrial intelligence was in the doldrums. Short of cash, astronomers were forced to beg for scarce time on tiny telescopes, relying on volunteers to donate their spare computing power for analysis. Then, in 2015, Russian entrepreneur Yuri Milner came along, donating a vast sum of money to the cause. The result was the Breakthrough Initiatives, a 10-year program to search more than a million stars for artificial radio and laser signals. The first results in that search are already in. For 692 stars, the Breakthrough Initiative team looked for signals that appeared unnatural or unusual in some way, and last night published the details of the 11 events ranked highest for significance. In a press release, the team wrote: "The pipeline produced millions of hits for the sample as a whole, of which the vast majority are almost certainly radio frequency interference from human technology." Don't get too excited though, because the team doesn't reckon that any of them are aliens yet. "Eleven events rose above the pipeline threshold for significance, but further detailed analysis indicates that it is unlikely that any of these signals originate from artificial extraterrestrial sources," they said. But the hunt continues. Every six months, they've promised to release a new tranche of data, complete with the software used for analysis, so that enthusiasts around the world can help develop increasingly sophisticated algorithms to comb through it. “With the submission of this paper, the first scientific results from Breakthrough Listen are now available for the world to review,” said Andrew Siemion, director of the University of California, Berkeley’s SETI Research Center. 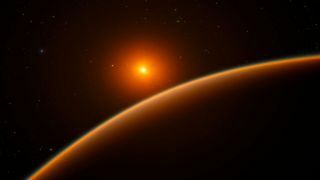 Meanwhile, the European Southern Observatory has published details of a newly-discovered exoplanet which it claims is the best candidate yet in the search for life. The planet, which bears the catchy name LHS 1140b, is a little larger but much more massive than Earth and orbits in the habitable zone of the faint star LHS 1140. Most excitingly, though, the observatory believes that it has retained most of its atmosphere. “This is the most exciting exoplanet I’ve seen in the past decade,” said Jason Dittmann of the Harvard-Smithsonian Center for Astrophysics, lead author of a paper describing the discovery.